Looking to bring more gratitude to your next event? Lorraine’s inspiring message of gratitude, along with her warm, soothing presence will enlighten your group on their path to greater health and happiness. Create a custom program to meet the specific needs of your group. Support groups, caregiver groups, healing groups, parent groups, children’s groups, businesses, non-profits and community organizations can all benefit from a specialized program on the power of gratitude. Lorraine Miller has been leading groups at yoga studios, corporations, webinars, wellness venues and book stores. 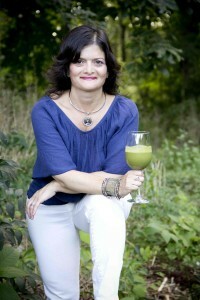 Some of her clients include the Institute for Integrative Nutrition, Nielsen, and St. John’s University. “Lorraine Miller is my go-to Wellness Coach for all things Gratitude. I have learned from her the power of using appreciation as a tool to teach others to manage stress, inspire healthy habits and believe they can accomplish their goals. Lorraine has lead numerous Thrive Workplace Wellness Lunch-n-Learns. Her presentations are professional, interactive, unique and inspiring. I consistently receive positive feedback on her sessions and requests for additional programs. For more information on how to inspire your group with the power of gratitude, please contact us today for a one-of-a-kind workshop.